Update: More on Huckabee’s 100 mpg car (he wishes). In this post I ridiculed Mike Huckabee’s pulled-out-of-some-orifice energy independence “plan” — the one where he proposed a one billion dollar prize (that’s right — a billion with a “b”) for someone who could come up with a 100 mile per gallon car. For more on energy use by sector, browse through the tables here for some interesting/depressing reading. Two things do stand out. Huckabee is right this far fuel efficiency is a problem, however feckless his solution might be. Efficiency totals for the American fleet of cars topped 20 mpg in 1990. As of 2005, total fleet efficiency had reached only 22.9. And second the SUV plague is a national security issue: over those same years, SUV efficiency went from 16.1 mpg in 1990 to a high of 17.6 mpg in 2001, and then back down to 16.2 mpg by 2003, where it has stayed. That’s a drop of about 9 % in just two years. All those Hummers and Porsche Cayennes take their toll, I guess. Given that SUVs and light trucks account for over half of domestic car/truck sales that’s just bad news. All numbers from the link above: the Energy Information Administration’s Annual Energy Review for 2006. All that said, the bottom line is that if you want to increase the efficiency of US ground transportation the fastest way is through regulation: increased CAFE standards, applied to all light transport, with no distinction made between cars and light trucks. That’s something everyone knows, and no one –especially amongst the GOP orthodoxy — wants to admit. But this post is not about the “I don’t wanna” idiocies of US energy/transportation policy. It’s about 100 mpg cars. The reason Huckabee’s offhand comment in a debate was not just stupid, but silly was that, of course, the technology to produce 100mpg cars does not need some Manhattan Project to generate breakthroughs to a brave new energy future. 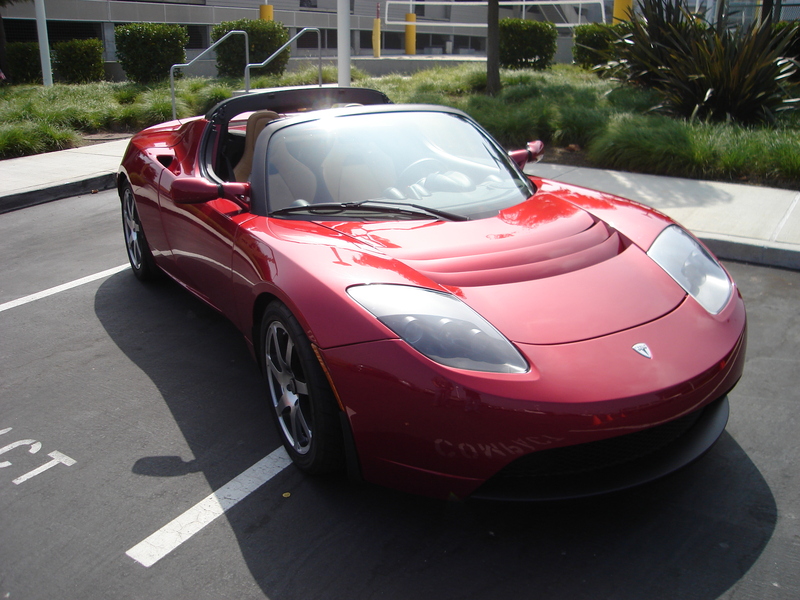 It’s already here, and, as I pointed out in my original post — there is one production >100 mpg sports car, the Tesla Roadster, about to be delivered to customers. In that earlier post I noted that the 2008 model year is sold out. Since then, Tesla Motors has opened the waiting list for 2009 — so if $5,000 (against a base price of $98,000) is burning a hole in your pocket, go for it. But I must say that I was perhaps too triumphalist in my crowing over Huckabee’s so-yesterday grasp of the technological possible. Tesla Motors has just deeply disappointed me. As the Wired’s Autopia blog reported yesterday, the high performance engine, capable of propelling the two-seater from 0-60 in 4.0 seconds, overwhelmed two different transmission designs. So when the car actually ships in March (promises, promises) it will come with a temporary fix, a beast of a transmission that can handle all the power generated, but that cuts acceleration to a mere 5.7 seconds for the 0-60 run. A newly designed transmission to restore the promised performance is promised for later model run cars (and as a retrofit to the tortoises off the line first). Now, its true that cars that cost less than $30,000 — the Nissan 350 ZX and the Ford Mustang GT for two — could smoke the transmission hobbled Tesla on the flat. But loathe as I am to agree with Gregg Easterbrook on anything, he’s right in the item in this column that ridicules the need for speed that is safe (and legal) only on the track. Meanwhile Mike Huckabee’s naive paean to salvation by the technological deus ex machina (two dead languages in the same sentence — I’m cooking now) is simply a distraction from the real business of using policy incentives to change energy behavior. The big problem is not going to go away in the flash of a speeding Tesla, however delicious its technology may be. And if you think that this was all an excuse to put up another couple of pictures of the car…you’re right. 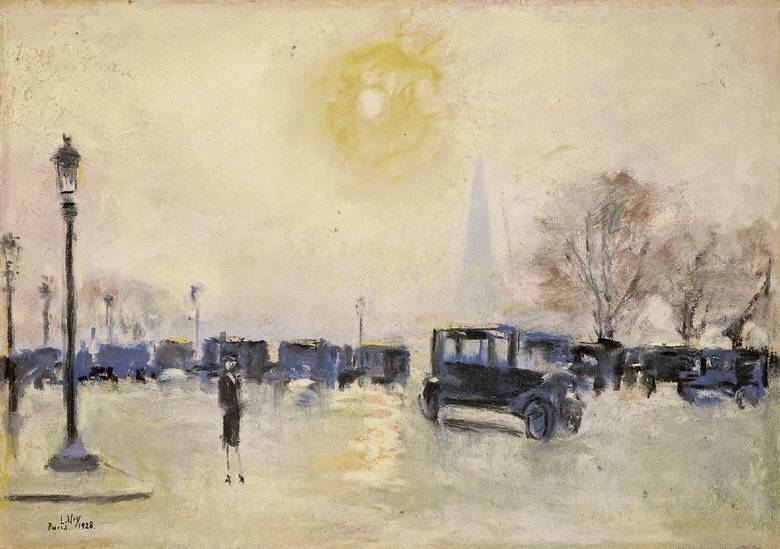 Images: Lesser Ury: “Paris, Sonnenaufgang,” 1928. Source: Wikipedia Commons. 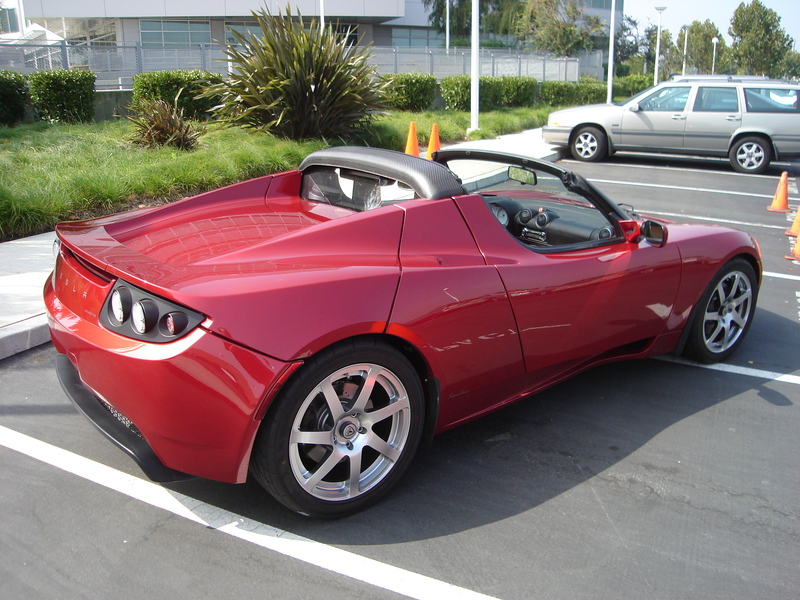 Tesla Roadster, taken Sept. 27, 2006, licensed under Creative CommonsAttribution ShareAlike 2.0. 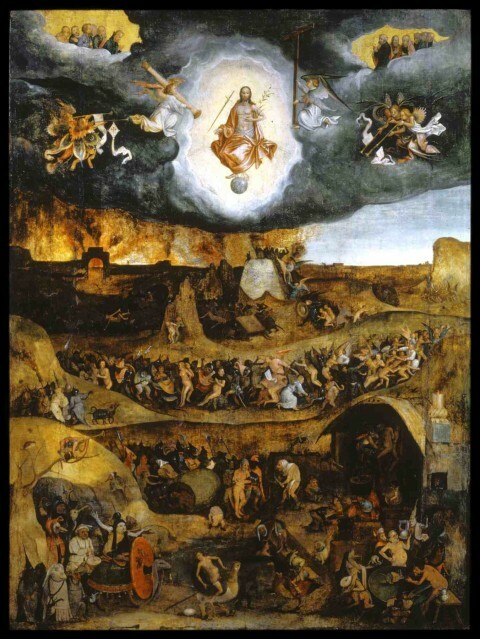 Source: Wikipedia Commons.